If you’re looking for a fun and unique way to raise funds for your charity, team or group – we can help! Our handicap accessible, 7,800-square-foot facility offers something for everyone, of all ages and abilities. 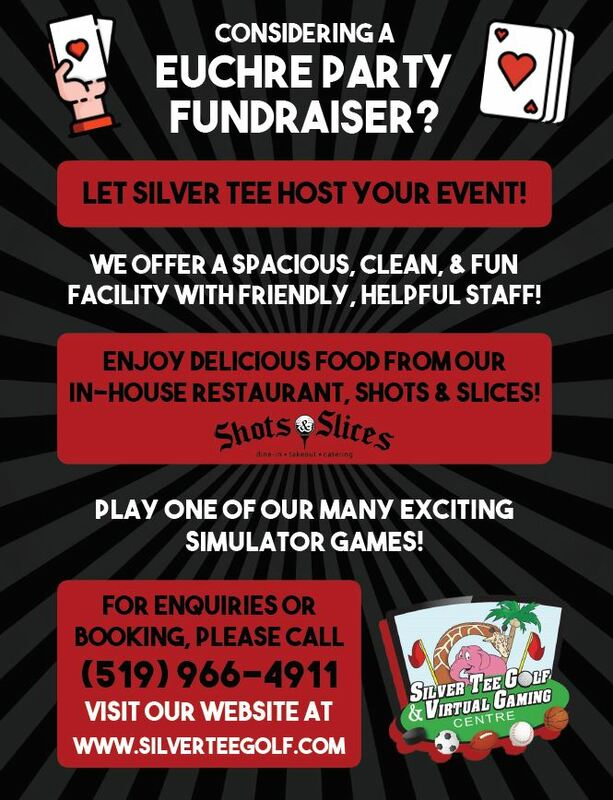 The on-site, fully licensed restaurant, Shots & Slices, helps make Silver Tee Golf & Virtual Gaming Centre the ideal venue for fundraising activities. We offer a fantastic, central, ‘landmarked’ location (home of the Pink Elephant! ); with plenty of parking. 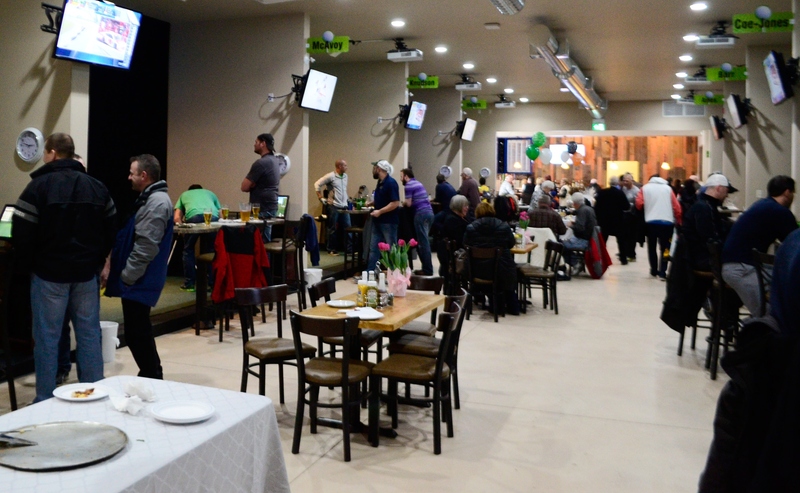 Our facilities offer lots room for display set up, as well as auction items, door prizes etc. We support your fundraising goals with our extensive social media network, reaching thousands of locals via our twice monthly eNewsletter, Facebook advertising, Twitter, Google Plus page and our highly viewed, regularly updated website. We can help your charity, school, team, group, church or any organization attain your fundraising goals. Our staff is ready to make your fundraising experience the best possible. Golf can be organized as a traditional 9 or 18 hole round with a foursome or have up to 8 people per simulator in a scramble format. We offer more than 80 of the world’s top golf courses to choose from. Our simulators can create 40 unique modes of play with challenging variations for the avid golfer, such as changing weather conditions. Our simulators offer a fun ‘boost option’ for non-golfers and automatic handicap adjustments. Our simulators have the capabilities for a highly accurate longest drive and closest to the pin contests – for fun and fundraising! 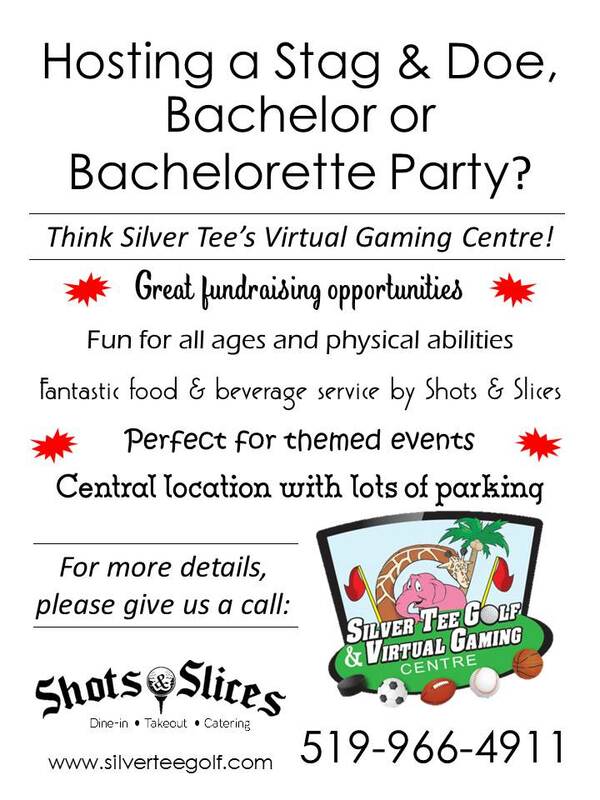 Our Multi-Sport Simulators are completely unique to Windsor and Essex County and the fundraising possibilities are only limited by the imagination! Fundraising events can be themed around one sport (such as a hockey shoot-out for hockey teams, or Home Run Derby during baseball play-offs) or play several of the multi-sports, with any format you choose! Imagine participants rotating through several simulators, accumulating points for multiple sport achievements, such as the hardest slapshot, scoring the most points in basketball, or breaking the most targets! Our entire facility is available for rent with all sports equipment, (except golf equipment) included. Minimum rental is 2 hours – please call for pricing. 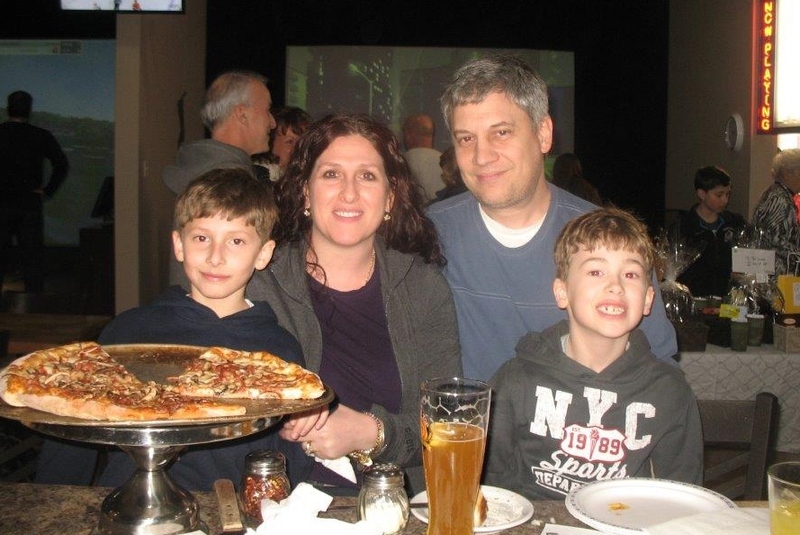 We have a full liquor license as well as several food options available from $5.95 per child and $8.95/person and up – or you can simply order from Shots & Slice’s extensive menu. For fundraising events, reservations are required with a 50% deposit.